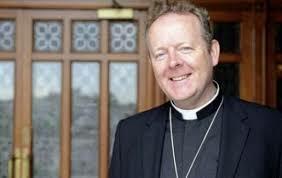 Archbishop Eamon will participate in a meeting, called by Pope Francis, in Rome from 21st – 24th February about the safeguarding of minors. The archbishop is hearing from victims and survivors and is inviting us to an opportunity to reflect and share (if desired) on the following questions. In his message for today, the 52nd World Day of Peace, Pope Francis recalls the words of Jesus to His disciples as He sent them out on mission. Jesus told them, “Whatever house you enter, first say, ‘Peace be to this house!’” At the start of this New Year, Pope Francis makes this greeting his own. The Holy Father wishes that we might find true peace in three ways: peace with ourselves, peace with others, and peace with all creation. Pope Francis entitles his New Year message: “Good politics is at the service of peace”. “Peace”, he says “is based on respect for each person, whatever his or her background, on respect for the law and the common good, on respect for the environment entrusted to our care and for the richness of the moral tradition inherited from past generations”. “Good politics” respects and promotes fundamental human rights. Those holding political office and political responsibility in any country should therefore “make every effort to protect those who live there and to create the conditions for a worthy and just future”. They should exercise their politics “with basic respect for the life, freedom and dignity of persons”. Recent circumstances in Ireland, Britain, Europe and the United States have led many people to become disheartened with politics and with politicians. Still, it is important to pray that all politicians will work at the service of peace. Politics is a noble vocation, and those who answer the call to public service often have to make great sacrifices in their personal and family life. We depend on our politicians to protect life and to build peace, to make just laws that enable us, our families, and the wider community to live good and constructive lives. We need them to lead and govern us, to work for the common good, to enable everyone to live in security and hope. In particular, politicians must speak and work for the voiceless, supporting the poor and disadvantaged, the homeless, migrants and the most vulnerable – even though doing so may not always win them popularity or votes. In addition to praying for our politicians, it is important that people actively contribute to public discourse. People of faith are called to bring to these discussions their conviction that the teaching and Gospel of Jesus Christ have consequences for every aspect of our lives. Before Christmas I pointed to the danger of increased community polarisation on account of the Brexit debate and the political impasse at Stormont. Ireland’s Church leaders are urging political leaders to make a real difference as we enter 2019 and to help restore a sense of hope. We feel that with ongoing political and economic uncertainty, “many businesses here are fearing for the future, while many families, struggling to make ends meet today, are anxious about what that future might hold”. Added to this, the lack of a functioning devolved government in Northern Ireland concerns us. It “not only drains hope from our society, but also has meant an ever increasing pressure on our schools, our hospitals, our welfare system and many other aspects of society’s infrastructure. As so often happens, it is the vulnerable and the marginalised that suffer most and they should be at the forefront of our thoughts and prayers as we enter into a new year”. Last September the Church leaders invited political party leaders to meet with us, and we sought to provide a safe space to facilitate open discussion and mutual understanding. We were encouraged by this meeting and we have begun a series of regional meetings, “bringing together local politicians, community and church leaders to talk with one another, to build relationships and again to foster mutual understanding”. We hope that this initiative can help bring at least a glimmer of hope. On a personal note, I encourage all our politicians in the coming challenging months to beware the temptation to retreat into partisanship. Many of our politicians and their predecessors have played their part in creating a more peaceful and more prosperous society here over the past twenty years. On this World Day of Peace I ask all our public representatives to make a resolution to reject divisive language and actions at all times during 2019. The progress we have made over the past twenty years is fragile and should be handled with care. There can be no going back to the days of violence and death on our streets. The right to life is not given or taken away by the law of the land or by any politician. It cannot be relegated beneath the right to individual choice. Despite the legislation for abortion that is taking effect this month in Ireland, it remains gravely morally wrong to deliberately and intentionally take the life of an innocent person, whatever their state or stage of life. To co-operate in such an act, by supporting it directly or indirectly, either as an individual act or as a social policy, shall always be gravely wrong. Although the Eighth Amendment has been removed from the Constitution of Ireland, it remains no less true that the life of a woman and her unborn baby are equally deserving of love, respect and protection. Any law which suggests otherwise has no moral force. In good conscience it cannot be supported; it has to be resisted and we must continue to call and work diligently for its limitation, amendment and repeal. No one should be forced, against their conscience, to participate in abortion or to refer patients to others for abortion. As a bishop I have been overwhelmed over the past year by the courage and witness of so many people – including some consistently pro-life politicians – who kept reminding us that in pregnancy we are dealing with TWO human lives. In 2019 I urge everyone – in their families, communities, schools, colleges and workplaces – to sensitively and respectfully present life-saving alternatives to abortion, so that no vulnerable woman in crisis will feel that the only way out for her is to end the life of her unborn child. This life-saving work deserves the full support of our local and national political representatives. I also encourage the development and ongoing formation of pro-life support teams in every pastoral area throughout the country. May the life of a mother and her baby in the womb be equally cherished and respected. the uniqueness and sacredness of every human life, from the first moment of conception to natural death. in whose womb you took on our human nature, Help us to choose life in every decision we take. We ask this in the joyful hope of eternal life with you, and in the communion of the Blessed Trinity. Our Lady of Knock, pray for us. All the Saints of Ireland, pray for us. When I wrote to you in January about protecting the Eighth Amendment, I encouraged you to be “missionaries for the cause of life”. I invited you to spread the word about the precious gift of life from the first moment of conception until the moment of natural death. As many of you prepare to go into the voting booth I offer you these thoughts. The Supreme Court has clarified that if the Eighth Amendment is repealed, unborn children in Ireland will have absolutely no constitutional rights. A vote to repeal the Eighth Amendment on 25 May would therefore pave the way for a very liberal abortion regime in Ireland, including completely unrestricted access to abortion during the first three months of pregnancy. What a departure this is from the Eighth Amendment where the equality of life of a mother and her unborn baby is written into our Constitution. Women’s lives are precious, to be loved, valued and protected. Their babies’ lives are precious, to be loved, valued and protected. Both lives deserve protection from the tragedy and irreversible decision of abortion. To be against abortion is not simply “a Catholic thing”. The innate dignity of every human life is a value for the whole of society – for people of all faiths and none. It is rooted in reason as well as in faith. To take away an innocent human life is always gravely wrong and can never be simply a matter of personal choice. In recent months we have been reminded about the miracle of life in the womb – how your heart started beating from around week five, or your unique fingerprint began to form only ten to twelve weeks after conception. That little unborn child who moves her fingers or kicks around in the ultrasound scan is the same baby that will be born and grow further through infancy to adolescence to adulthood to old age – all that is needed for that life to grow, is time, nourishment, love, and a chance to survive. When you go inside the voting booth on 25 May, pause and think of two lives – the life of the mother and the life of her baby: two hearts beating; two lives which are both precious and deserving of compassion and protection. Love them both. Pray for both. Choose Life for them both. Say ‘NO’ to the repeal of the Eighth Amendment and then do everything you can to ensure that our country will always provide the best possible care and support for all mothers and their unborn children. Let us continue to pray for each other. As we mark the 20th anniversary of the signing of the Good Friday/Belfast Agreement tomorrow, we wish together to give thanks to God for all that has been achieved in building peace since that historic moment. The Good Friday Agreement sought to address contentious political problems in the context of decades of violence, divided communities and immense suffering and death on our streets. As such it was a complex and, in places, controversial document. However, we are convinced that its explicit rejection of the use or threat of violence, together with its emphasis on the principles of “partnership, equality and mutual respect” as the “basis of relationships” within these islands, has continuing potential to transform society and life for all of us. Nothing remotely its equal has been outlined then or since. We thank God for all that has been achieved in shaping a peaceful and shared future over the past twenty years. We acknowledge the efforts of the international community who not only invested significantly in the process which led to the Agreement, but who have remained alongside us as our partners for peace. Above all we thank God for the generation of young people who are growing up without the sounds of bomb or bullet on a daily basis; for the livelihoods and businesses which have not been destroyed; for the families and neighbourhoods who have been spared the heart-breaking pain and trauma of death or serious injury. No single political agreement can be expected, of itself, to solve or heal the deep wounds in any society. The Good Friday Agreement offered a framework for a new beginning, outlining the interlocking structures and safeguards under which the relationships required for healthy democracy could develop and be sustained. Northern Ireland still presents many problems and opportunities, but these are problems and opportunities for all of us – and not simply politicians – to solve and grasp. Some say we have failed in this task; others that we have only just begun. Too often, any vision of a common good has been submerged beneath sectional interests. At this present impasse in political life in Northern Ireland it is worth asking ourselves: is it because the principles and structure of the Good Friday Agreement have failed us, or, rather is it that we have together failed to make the most of those supportive principles which it offered? In the Christian tradition we share, Good Friday is a time of returning to God and of “calling out” anything which prevents us from living truly as disciples of Jesus Christ. This can be a painful exercise. But we are an Easter people. We are always beginning. We are always making a fresh start. It was in the light of the Resurrection that Saint Paul urged us to be “ambassadors” of reconciliation (2 Corinthians 5.20). The peace we have today took a great effort to achieve; it will equally take risk, and leadership at all levels, to maintain. It is therefore our sincere shared prayer that this anniversary will help to rekindle a spirit of opportunity, healing and hope for lasting peace which is now needed more than ever. We call on all people of good will to be ambassadors of reconciliation, helping to rebuild trust and mutual respect in order to move us further forward and closer together as a society that places the common good as its primary purpose. There is a beautiful moment in the biblical account of the crucifixion when Our Lord says to his mother and to John, the closest of his disciples, that they are now to care for each other – as mother and son (John 19.26-27). It is a moment in time, and a moment for all time. The need for a human family’s care and love becomes greater with each passing day. We are living in a time when families are under threat from a myriad of pressures. Some of these pressures are material, others are societal or spiritual. And sadly, there are many people who, for whatever reason, can only dream and wish for the warmth and care of family. Our Lord’s instinctive concern, that his mother and his closest friend should be there for each other, re-echoes down through the centuries to us today. As brothers and sisters in the Lord, we are called to be patient and kind, gentle and generous, welcoming to those in need. We are to ‘be family’ for others, including those who are, or who feel they are, estranged from the family ‘circle’. This summer, Christians of different traditions will share the joy of thousands who will gather in Dublin from around the world to celebrate the good news of Family as ‘Joy for the World’. The accounts of the Easter Church, that grew from the resurrection of Jesus, remind us that the hospitality and generosity of the human family is a hallmark of Christian belonging. In Acts of the Apostles chapter 16, when Lydia and her household take the Christian faith for themselves, they instinctively offer their home to Saint Paul – as his home too. In the coming days we will remember the profound expression of self-giving love which is at the heart of the Cross and the Resurrection. Selfless love is also the key to the wonderful Christian vision of what the family is called to be by God. May we be ready to make that vision a living and vibrant reality in a world which more than ever needs Family at its heart. “The weather forecast for the coming days is expected to be exceptionally cold and to include a significant snowfall. This bad weather will affect and frighten many people across our country. Some will be afraid because they are alone, elderly, suffer from underlying medical conditions while others will be cold and hungry. They may too proud to admit their vulnerability. “Parishes are at their strongest when they support their weakest. In the words of Jesus “whatever you did for one of the least of these brothers and sisters of mine, you did for me” (Matt 25:40). Christ spoke of the parable of the Good Samaritan who cared for a stranger. It was enough that he was a person in need for the Samaritan to act – and to follow up afterwards to underpin that care. – support local farmers as it is lambing season and the death rate for all livestock increases sharply in extreme weather. to watch over and guard us. to give us shelter against the storm. My brothers and sisters, as 2018 begins, I wish you, your family and all your loved ones the gifts of hope, love, and ‘life to the full’ in the New Year. On 1st January this year, the Feast of the Motherhood of Mary, Pope Francis said that calling Mary, “Mother of God” reminds us that, in Jesus, God became a living human being. God is therefore intimately close to humanity – as close as a child is to its mother in the womb. This is miraculous, Pope Francis said, “Human beings are no longer alone”. God is with us. In “the frail and infant God resting in his mother’s arms”, we see a “reflection of ourselves” and realise that “humanity is precious and sacred to the Lord”. All human life is sacred. All human life is precious. This is why the direct and intentional taking of innocent human life is always gravely wrong. In his New Year Homily, Pope Francis teaches us that: “to serve human life is to serve God. All life, from life in the mother’s womb to that of the elderly, the suffering and the sick, and to that of the troublesome and even repellent, is to be welcomed, loved and helped”. Just before Christmas the Joint Committee on the Eighth Amendment of the Constitution submitted its report to the Oireachtas. In the name of ‘modernising healthcare’, the Committee proposes a very liberal abortion regime, including unrestricted access to abortion up to twelve weeks, and, thereafter during pregnancy, very broad grounds for abortion and access to abortion. Article 40.3.3 is a declaration of equality and respect for human life – it represents, at the very foundations and substructure of our laws, a conviction that all human life is equally worth cherishing. To repeal this Article will leave unborn children defenceless, and completely at the mercy of whatever abortion laws are introduced in Ireland – both immediately, and as will inevitably be further broadened in future years. Today we celebrate Nollaig na mBan, an Irish tradition which marks the contribution that women make to our families and to society. Women’s lives are precious, to be loved, valued and protected. Their babies’ lives are precious, to be loved, valued and protected. Two lives, one love! Both lives deserve protection from the tragedy and irreversible decision of abortion. It is falsely claimed that wide access to abortion will mark Ireland out as a ‘modern’ country, placing the needs of women ‘at the centre’. Abortion ends the human life of an unborn girl or boy. It deceives women – and men – by creating a culture where the decision to end the life of an unborn child is portrayed as simply a matter of individual ‘choice’. Since the introduction of the 1967 Abortion Act in Britain there have been almost nine million abortions. One-in-five pregnancies in Britain end in abortion; one-in-four in Sweden. International experience shows a similar trend elsewhere. Are these the so-called ‘modern abortion regimes’ that Ireland is seeking to emulate? When women are in crisis during pregnancy, feeling frightened or isolated, they need to know they are not alone. A woman facing such a crisis deserves time, compassion, meaningful support and life-affirming alternatives to abortion and its harmful legacy. Our ambition as a people should be to guarantee genuine care for pregnant mothers, encourage responsible support from fathers, and to truly cherish all children equally. We should focus our energies and resources on making Ireland the most welcoming country in the world for a woman and her baby in the womb. Our doctors, nurses, midwives and other care professionals have already helped to earn Ireland’s place as one of the safest countries in the world for mothers and their babies during pregnancy. Ireland now has an opportunity to give even stronger witness that: we value all life equally; we care for the weakest and smallest, the strongest and healthiest, the youngest, the oldest, and the whole wonderful and beautiful spectrum of life in-between. Regarding medical intervention, Catholic teaching is clear: where a seriously-ill pregnant woman requires medical treatment which may put the life of her baby at risk, such treatments are ethically permissible provided every effort is made to save both the mother and her baby. Such an intervention would be different to an abortion, which is the direct and intentional taking of the innocent life of the unborn. The innate dignity of every human life, from conception to natural death, is a value for the whole of society, rooted in reason as well as in faith. The Catholic Church, in common with many other people of goodwill, teaches that ending the life of an unborn child, like the taking of any other innocent human life, is always evil and can never be justified. Brothers and sisters I encourage you to be missionaries for the cause of life. Remember those words of Pope Francis: “To serve human life is to serve God”. Speak to your families, your children and grandchildren, friends and colleagues about cherishing the precious gift of life at all times from conception to natural death. Speak the truth about life, and speak it with love. Despite the strong pressures to remain silent, do not be afraid to witness to the equality of all life in private conversations and public discussions in the coming months. As citizens committed to the Common Good, you have a democratic right to make your views known, respectfully, to our public representatives. Please pray earnestly with me that Ireland will ‘choose life’ and that the lives of all women and their unborn children will always be loved, valued, welcomed and respected in this country. Sacrament of Reconciliation after 1030am Mass on Saturdays, or by request at all other times.